Cooler Master has unveiled a trio of new products at CES 2016. The main announcement is that of the MasterCase Maker 5 freeform modular PC system chassis. Accompanying, complementary, products simultaneously announced were; the MasterAir Maker 8 cooler, and the MasterWatt Maker 1200 power supply. All the products were designed to help facilitate the building of a user's own vision of the ultimate PC. The MasterCase 5 range of chassis were first unveiled at Computex this summer. Back then the MasterCase 5 and the MasterCase Pro 5 were shown to embody the 'maker spirit' allowing buyers to easily swap panels and components and generally customise a build more than what would usually be possible. 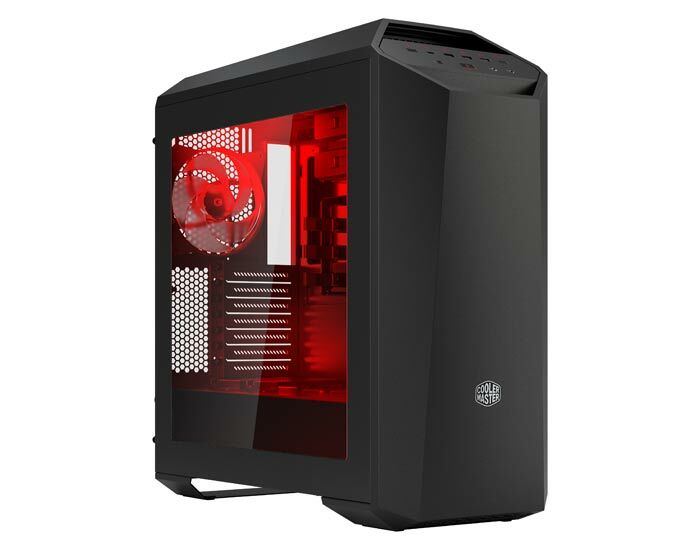 The new MasterCase Maker 5 has a number of standout features representing an upgrade from the two models shown off at Computex; an upgraded I/O panel with more front USB ports (including a USB 3.0 Type-C port), LED lighting and fan speed control buttons and magnetic rather than bracket attached panels. The front panel can optionally be padded for noise suppression. Diverse liquid cooling – Top or front mounted radiators with Water bracket or by moving the bottom-mounted HDD cage. Cooler Master's MasterAir Maker 8 is said to be "the world's first air cooler to feature our exclusive 3D Vapor Chamber (3DVC) technology". It is claimed that the vapour chamber combined with a total of eight heatpipes provides 19 per cent better cooling than conventional copper base coolers. As a 'maker' product Cooler Master facilitates a degree of customisation with the MaserAir Maker 8's changeable top cover designs; two are supplied and you are free to 3D print your own. The final new product from Cooler Master's CES unveiling is a PSU dubbed the MasterWatt Maker 1200. While this doesn't seem to offer any of the 3D printing and customisation frills of other 'maker' products it does offer fully modularity, with flat cables supplied. 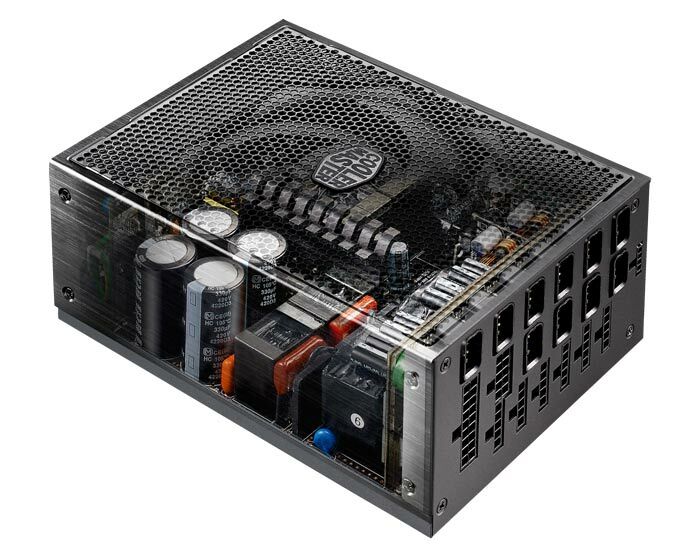 The key qualities of this digital PSU are its all aluminium construction and Titanium 94 per cent efficiency. 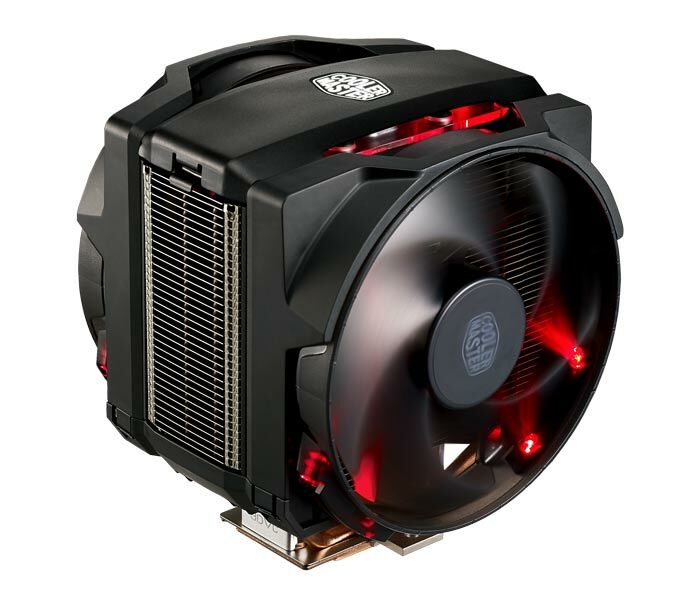 Cooler Master boasts of this PSU's increased airflow and reduced component count, with next-gen 3D circuit design. Users may also enjoy the real-time PSU state readouts and control for multiple PSU parameters via CM's mobile and desktop apps. 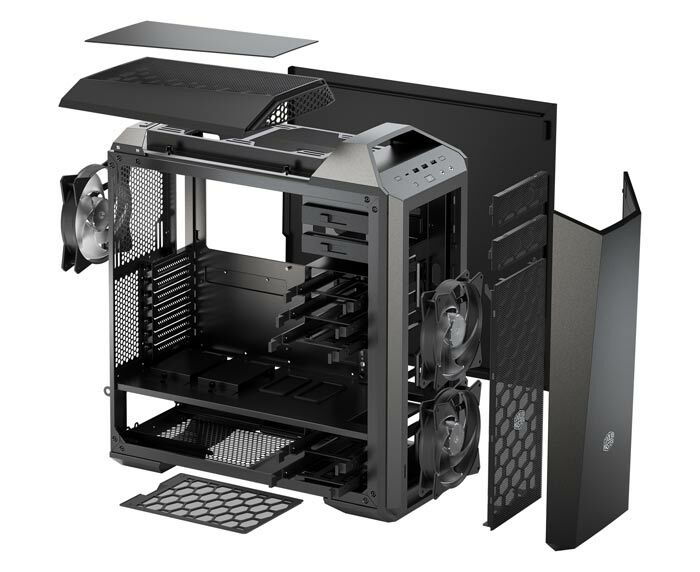 The MasterCase Maker 5 and the above described CPU cooler and PSU will be made available in the UK later this quarter. Pricing is yet to be announced. Ooh wow, two or three panels that have a few different options… I'm impressed. Not as impressed as finding out how cheap and easy it is to put a window in my side panel myself, while getting exactly the window I had imagined… but still, I guess it's progress. Not really my thing, as I prefer to do all my own modding, but gives some options for those who don't like the hassle. I like the fact that there is a panel to hide the dust that forms around intake fans which I always considered to be a flaw with mesh fronted designs. The window is negative for me due to my lazy build style that involves zero cable management and my value focused shopping style that involves zero consideration for component aesthetics. With acoustic lined panel options this case might be OK for my typical builds. With a minimum of internal accessories perhaps not too expensive although I suspect the freeform concept is more about improving margins than rolling out choice. Marketing needs to improve because it's really not clear what the options are and there is potential confusion as to the key differences between Mastercase 5, Mastercase Pro 5 and now Mastercase Maker 5. Call everything 5 for max confusion. control for multiple PSU parameters via CM's mobile and desktop apps. I've never heard of user-adjustability for PSU parameters before - fan response is about the only one I can think would be relatively safe to give to users, I wonder what else they've provided? I like the fact that there is a panel to hide the dust that forms around intake fans which I always considered to be a flaw with mesh fronted designs.